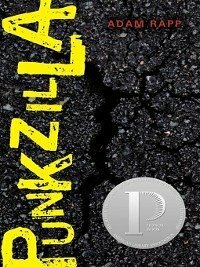 An award-winning writer and playwright hits the open road for a searing novel-in-letters about a street kid on a highstakes trek across America.For a runaway boy who goes by the name "Punkzilla," kicking a meth habit and a life of petty crime in Portland, Oregon, is a prelude to a mission: reconnecting with his older brother, a gay man dying of cancer in Memphis. Against a backdrop of seedy motels, dicey bus stations, and hitched rides, the desperate fourteen-year-old meets a colorful, sometimes dangerous cast of characters. And in letters to his sibling, he catalogs them all — from an abusive stranger and a ghostly girl to a kind transsexual and an old woman with an oozing eye. The language is raw and revealing, crackling with visceral details and dark humor, yet with each interstate exit Punkzilla's journey grows more urgent: will he make it to Tennessee in time? This daring novel offers a narrative worthy of Kerouac and a keen insight into the power of chance encounters. Adam Rapp says that when he was working on his chilling, compulsively readable young adult novel 33 Snowfish, he was haunted by several questions. Among them: When we have nowhere to go, who do we turn to? Why are we sometimes drawn to those who are deeply troubled? How far do we have to run before we find new possibilities? At once harrowing and hypnotic, 33 Snowfish—which was nominated as a Best Book for Young Adults by the American Library Association—follows three troubled young people on the run in a stolen car with a kidnapped baby in tow. With the language of the street and lyrical prose, Adam Rapp hurtles the reader into the world of lost children, a world that is not for the faint of heart. His narration captures the voices of two damaged souls (a third speaks only through drawings) to tell a story of alienation, deprivation, and ultimately, the saving power of compassion. "For those readers who are ready to be challenged by a serious work of shockingly realistic fiction," notes School Library Journal, "it invites both an emotional and intellectual response, and begs to be discussed." Adam Rapp's first novel, Missing The Piano, was named a Best Book for Young Adults as well as a Best Book for Reluctant Readers by the American Library Association. His subsequent titles include The Buffalo Tree, The Copper Elephant, and Little Chicago, which was chosen as a New York Public Library Book for the Teen Age. The author's raw, stream-of-consciousness writing style has earned him critical acclaim. "Rapp's prose is powerful, graphic, and haunting," says School Library Journal. "[He] writes in an earthy but adept language," says Kirkus Reviews. "Takes a mesmerizing hold on the reader," adds The Horn Book magazine. Adam Rapp's other novels include the 2010 Michael L. Printz Honor Book Punzilla, as well as The Children and the Wolves. In addition to being a novelist, Adam Rapp is also an accomplished and award-winning playwright. His plays—including Nocturne, Animals And Plants, Blackbird, and Stone Cold Dead Serious—have been produced by the American Repertory Theatre in Cambridge, Massachusetts, the New York Theatre Workshop, and the Bush Theatre in London, among other venues. Born and raised in Chicago, the novelist and playwright now lives in New York City.